Motorola is back with Moto Z2 Play and a slew of backward-compatible mods. 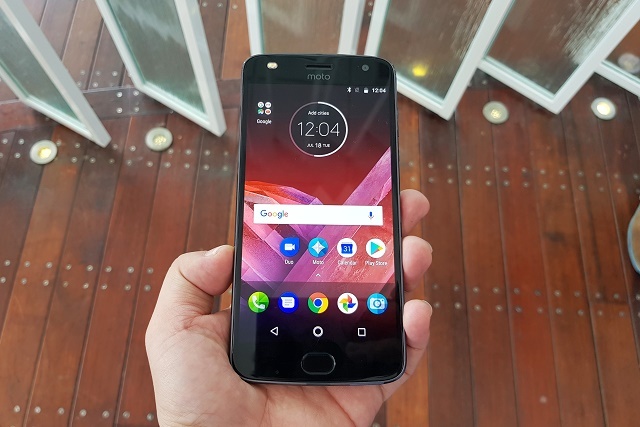 Motorola releases the Moto Z2 Play in the Philippines with Php 24,999 price tag. The handset is the current flagship device of the Lenovo-owned company and is a refresh of the Moto Z Play released in October of last year. The Moto Z2 Play brings a slew of new Moto Mods which is backward compatible with older Mod-enabled devices. 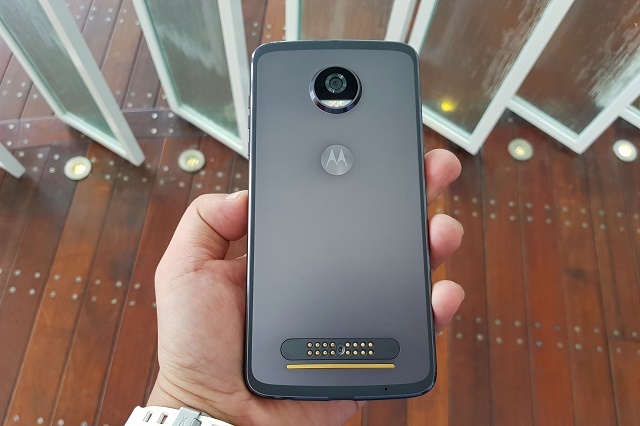 Just like what we have reported last week, Motorola will bring it's A-game with the Moto Z2 Play. The smartphone, in its bare form, is a very thin candybar with 5.99-mm depth. It sport a stylish metallic finish; and a 5.5-inch Super AMOLED display that's treated with Corning Gorilla Glass on top. Motorola is gearing this smartphone to clash with other top-of-the-line handsets in similar price standpoint. When it comes to specs, the Moto Z2 Play ticks with a powerful Qualcomm Snapdragon 626 with 2.2GHz octa-core CPU and Adreno 506 graphics worker. Motorola is also proud to be the company that taps Android 7.0 Nougat across all its offerings in different smartphone categories. In this case, the Moto Z2 Play boots with Android 7.1.1 with Moto Experience layered on top. This supports the Moto Display, Moto Voice and Moto Actions features. Coupling the speedy processor is the beefy 4GB of RAM and 64GB of internal memory. Likewise, the 3000 mAh battery will not keep you hanging due to the fact that it supports TurboPower function which gives you 7 hours in just 15 minutes of charging. The Moto Z2 Play's camera is also a nifty feature with its 12MP dual autofocus pixel camera. The sensor size is 1.4um with f/1.7 aperture lens. On the flip side, the handset supports a 5MP selfie camera with wide angle lens and f/2.2 aperture. Other notable features include the water-repellent coating and fingerprint reader. 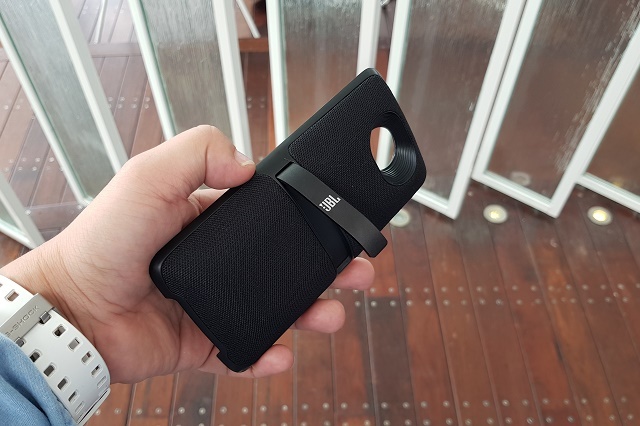 What makes this handset unique from the flock of smartphones is the fact that it supports modular accessories which the company call Mods. Moto Mods instantly transforms your Moto Z2 Play into a more powerful and feature-centric handset depending on the Mods that you use with it. 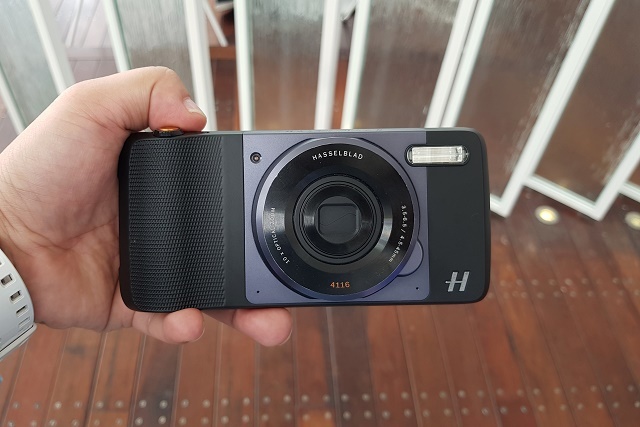 The Hasselblad Lens is designed give the Moto Z2 Play full camera capabilities. It offers the 10x optical zoom, RAW format output and image stabilized stills to the handset. Likewise, it comes with 12MP BSI CMOS sensor and Xenon flash. It's priced at Php 14,099. 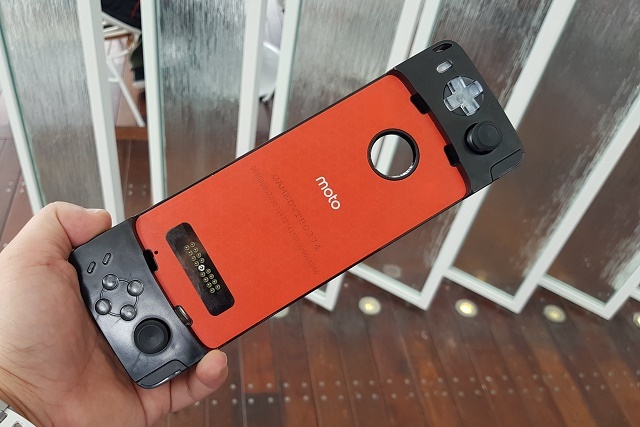 Motorola also flashed the GamePad where you can slide in your Moto Z2 Play and instantly have a gaming console. The Motorola Moto Z2 Play comes in Lunar Gray and Fine Gold. It's now available in Moto stores, kiosk and partner dealers nationwide at Php 24,999.